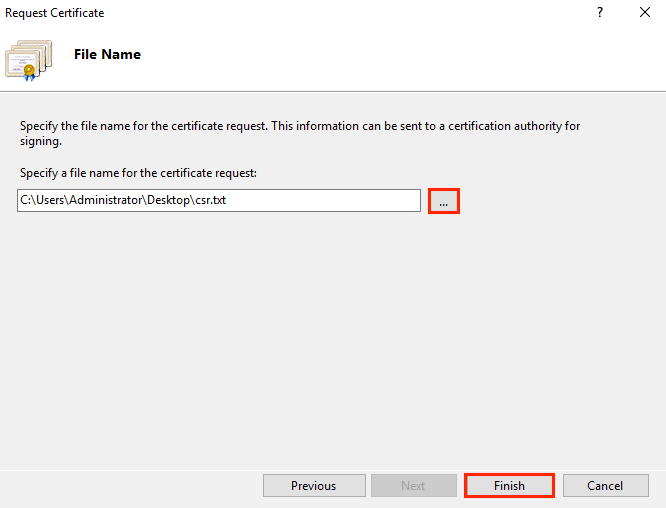 How to Generate CSR on Microsoft IIS 10 Server? 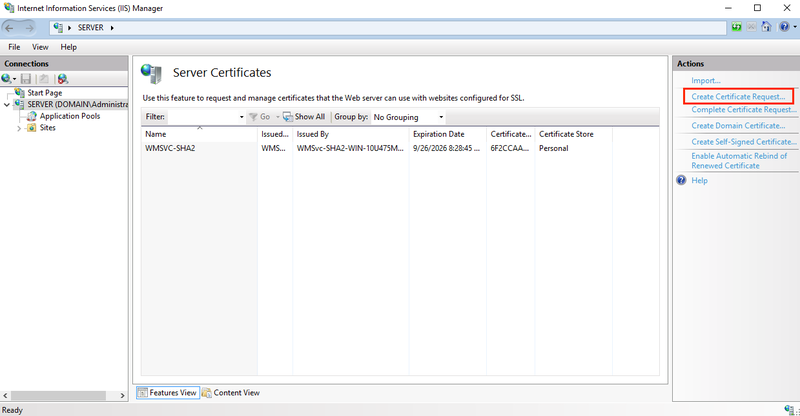 Installation of SSL certificate on IIS 10 is divided into CSR generation and installation part. After purchasing an SSL certificate, it requires to be configured on the server and for that, you should have to generate CSR (Certificate Signing Request). To generate CSR code file on Microsoft IIS 10 server, open Internet Information Service (IIS) Manager by pressing windows shortcut WIN+R or by type “inetmgr” into the search field. 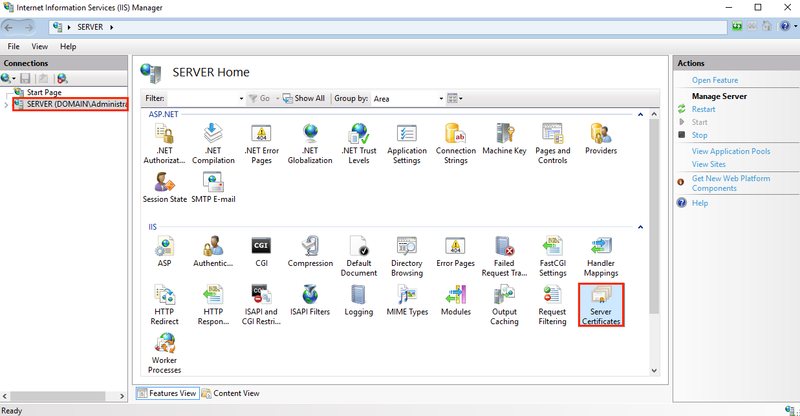 Click on “Server Certificate” icon in home page of IIS Manager. 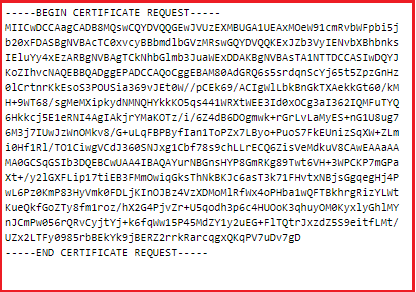 On the right side Action panel, click on Create Certificate Request Link. Organization Unit: The department is that takes care of SSL certificate issuance and installation. PS. For EV and OV validation certificate, organization name and its unit should be filled with legal name and current department. After filling details, click on Next button. 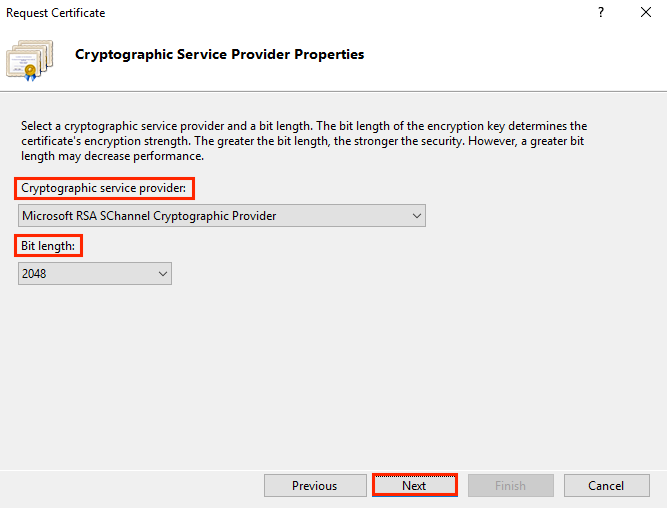 You will have new windows “Cryptographic Service Provider Properties”. You need to leave first field “Cryptographic Service Provider” with name “Microsoft RSA SChannel Cryptographic Provider”. Select 2048 in “Bit length” field. After that, click on Next button. Finally, you will have windows named “File name” type directory where you want to save CSR file or you can browse directory by clicking on … dots. Click on Finish button. Your CSR is saved on selected path; you can open the file with any text editor. 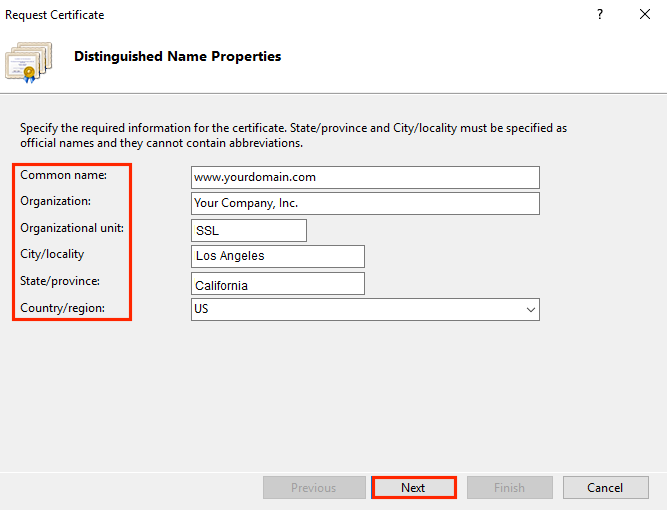 Now, you are required to install SSL certificate on IIS 10, which is described in our next article.